My family has tackled a lot of National Park units within a 4 hour drive from our home outside of Raleigh, North Carolina as we continue our mission to visit 100 National Park sites by 2020. This means that we have visited every National Park unit in North Carolina! 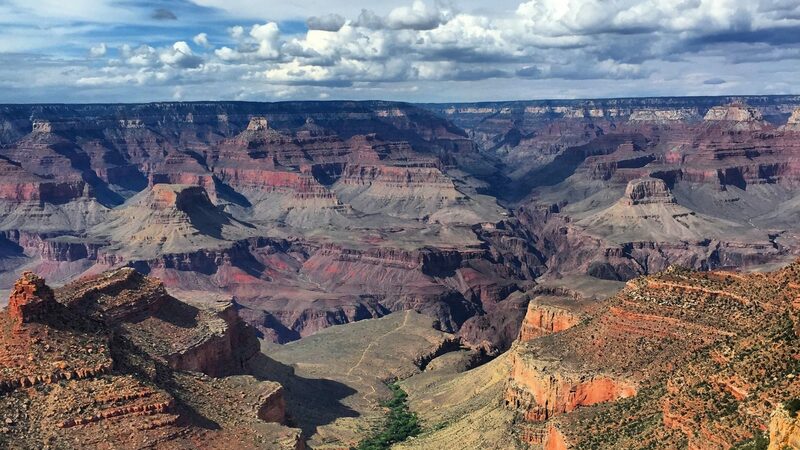 These 8 National Park units are diverse! From battlefields to scenic drives to beautiful beaches to the birthplace of aviation there is so much to see. What should you focus on? Here is the must-see spot from every National Park in North Carolina. 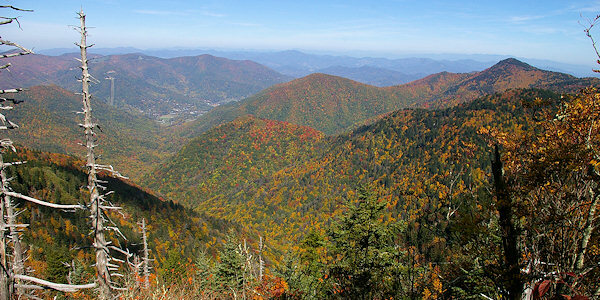 Located at Mile 451, Waterrock Knob is the most picturesque viewpoint in the 469 miles of the Blue Ridge Parkway. It offers unobstructed views all the way around and you can see the Great Smokey, the Nantahalas, the Pisgahs, and the Cowee Mountains. 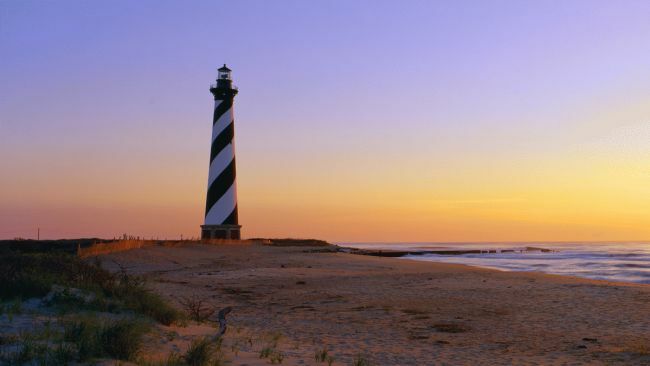 There is nothing more iconic in North Carolina than the Cape Hatteras lighthouse. This is the largest brick lighthouse in North america and the view of the ocean and beaches of the Cape Hatteras seashore is unparalleled! Sure, you could view and climb the Cape Lookout lighthouse but after visiting the lighthouse at Cape Hatteras it will not be as special. 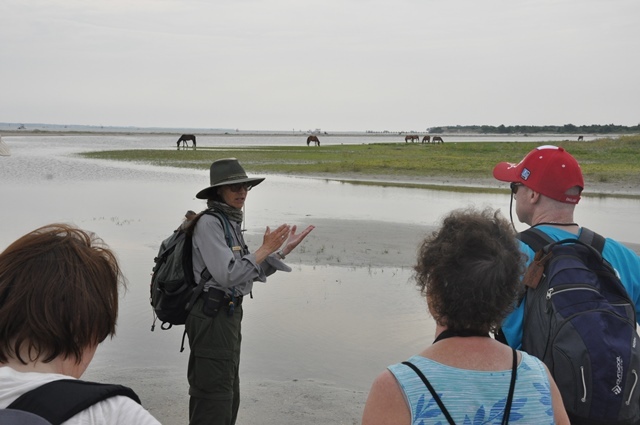 What is truly unique about Cape Lookout is the opportunity to watch the wild horses of Shackleford Banks. One of the coolest parts of visiting Carl Sandburg’s home is to see the working Goat Dairy onsite. Mrs. Sandburg bred champion goats there and they are the friendliest goats I have ever seen! Fort Raleigh is part of a huge complex that includes a visitor center, multiple hiking trails, and an Elizabethan style English garden. 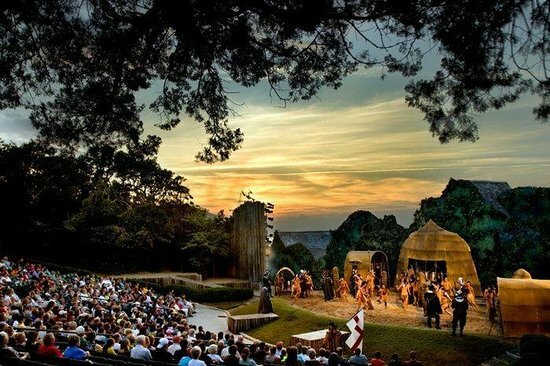 It also has this amazing outdoor Waterside Theatre that performs a show on the Lost Colony. It’s a must-see! 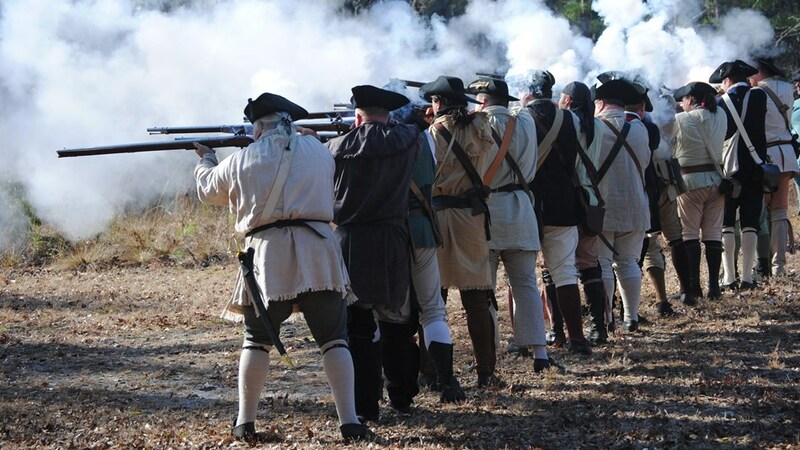 Guilford Courthouse marks the site of an epic battle of the Revolutionary War. 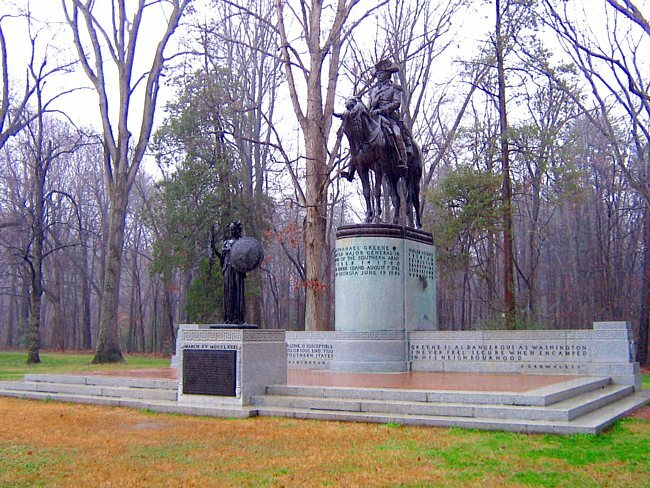 This park has 28 monuments spread around the grounds honoring the bravery of the soldiers that fought there! We have seen some seriously awesome Visitor Center movies. (Most notably the big budget productions at Gettysburg and the Grand Canyon.) But this short 10 minute video detailing the events of the battle at Moores Creek was so entertaining, my family still talks about it! 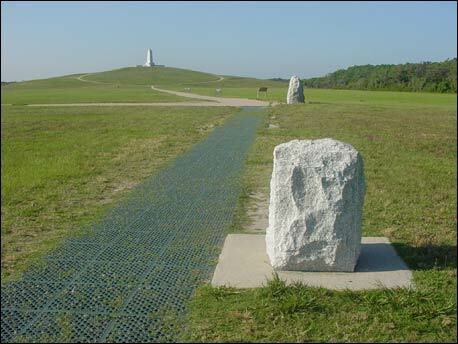 The coolest thing to see at Wright Brothers Memorial is the stone markers that mark the flight path and landing locations of the very first airplane flights! The first time we were there, a Park Ranger challenged our kids to run all the way to the end. It is amazing to imagine how aviation was born at that very spot. 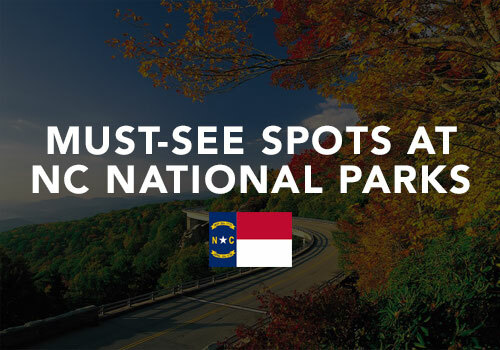 Visit all the North Carolina National Parks! How many North Carolina National Parks have you visited? What were your favorite spots? Leave your tips in the comments!